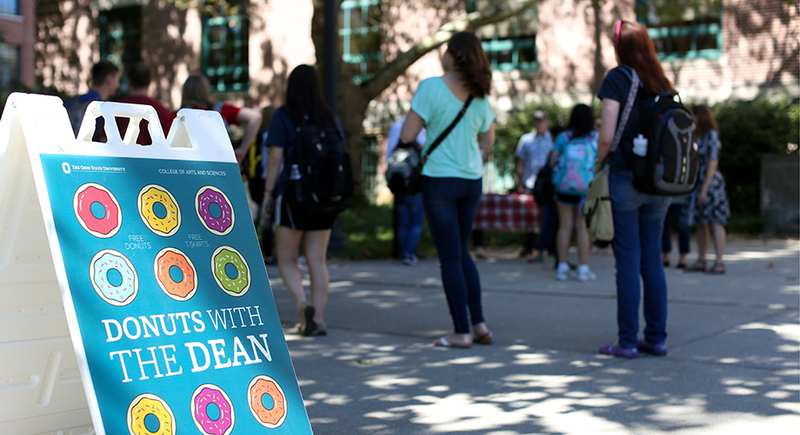 Hey Students: It's Donuts with the Dean! Do you love free donuts — free Buckeye Donuts? How about hanging out with our super-awesome dean? Follow @ASCatOSU on Twitter to find out when and where our executive dean will host #DonutsWithTheDean pop-up events this year. Free donuts for the first 50 students in attendance. Don't miss it! Have a donut on us!